Home / New Arrivals / ATS Labs Creatine HCL 100v, BOGO Available!! ATS Labs Creatine HCL 100v, BOGO Available!! 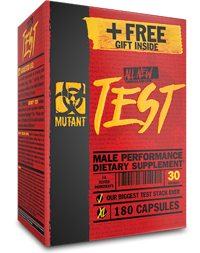 Special Promo – buy 1, get 1 at 50% off on ATS Labs Creatine HCL with free shipping!! Discount will show up in shopping cart when you select 2 or more items. This is for a limited time only!! 100 Servings! 750 mg /serving! Creatine HCL (hydrochloride) is simply a creatine molecule bound with hydrochloric acid. Creatine HCL has been shown to increase muscle cell volume, promoting an anabolic environment for muscle mass increase. 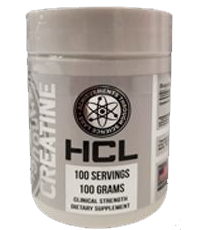 Creatine HCL has also shown to have superior properties to other forms of creatine, specifically Creatine Monohydrate, due to its superior solubility and pH alignment with the human digestive tract. ATS Labs CREATINE HCL is for men and women looking to increase their workout performance. It helps promote lean muscle growth, improve endurance, and speed up muscle recovery. ATS Labs Creatine HCl allows your muscles to contract with more power for an increased number of repetitions, increasing your anaerobic exercise capacity. One of the major differences between Creatine HCL and Creatine Monohydrate is the solubility. Creatine Hydrochloride is more soluble in water than Creatine Monohydrate. It has said to be 59 times more soluble in water than the Creatine Monohydrate. The high solubility in water and other fluids in general is due to hydrochloride group that is added to the Creatine to make it stable. The hydrochloride reduces the pH of the substance thereby making it more acidic which in turn raises its solubility in water and other fluids. 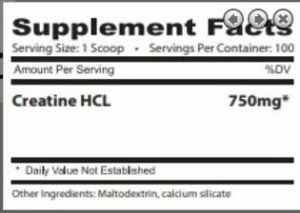 Given its high solubility, the recommended dosage for Creatine HCL is often much lower as compared to those of the other forms of Creatine such as Creatine Monohydrate. It provides the same effects as Creatine Monohydrate but in smaller doses. It helps in building muscles, boosting strength, increasing power and facilitating greater endurance. Creatine HCL has minimal to no side effects, like water retention or bloating, contrary to the other Creatine forms.